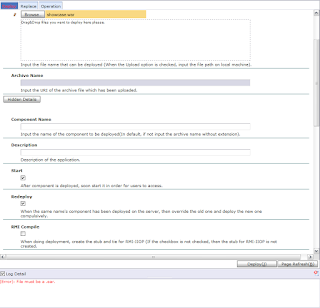 In a previous article we took a look at an obscure Java EE application server that's only known in Korea and virtually unknown everywhere else. Korea is not the only country that has a national application server though. Japan is the other country. 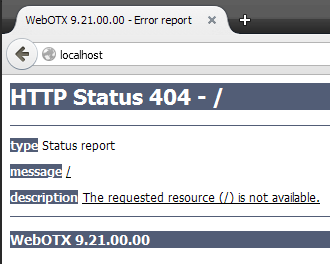 In fact, it has not one, but three obscure application servers. These Japanese servers, the so-called obscure 3, are so unknown outside of Japan that major news events like a Java EE 7 certification simply just does not make it out here. 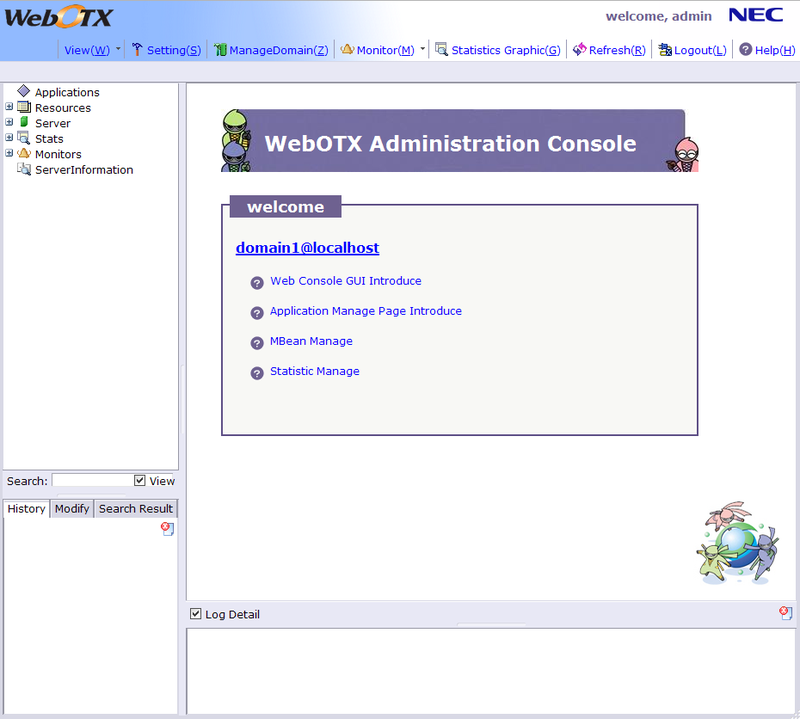 In this article we're going to take a quick look at the first one of this list: NEC WebOTX. 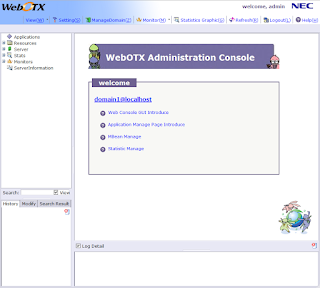 While NEC does have an international English page where a trial can be downloaded it only contains a very old version of WebOTX; 8.4, which implements Java EE 5. This file is called otx84_win32bitE.exe and is about 92MB in size. As with pretty much all of the Asian application servers, the native language pages contain much more and much newer versions. 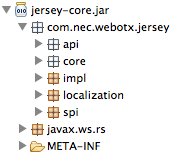 In this case the Japanese page contains a recent version of WebOTX; 9.2, which implements Java EE 6. This file is called OTXEXP92.exe and is about 111MB in size. A bit of research revealed that a OTXEXP91.exe also once existed, but no other versions were found. The file is a Windows installer, that presents several dialogs in Japanese. If you can't read Japanese it's a bit difficult to follow. Luckily, there are English instructions for the older WebOTX 8.4 available that still apply to the WebOTX 9.2 installer process as well. 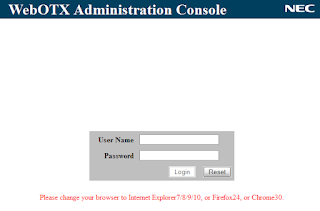 Installation takes a while and several scripts seem to start running, and it even wants to reboot the computer (a far cry from download & unzip, start server), but after a while WebOTX was installed in e:\webotx. One of the first things I often do after installing a new server is browse a little through the folders of the installation. This gives me some general idea about how the server is structured, and quite often will reveal what implementation components a particular server is using. 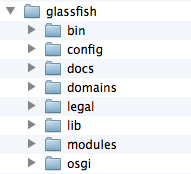 Surprisingly, the folder structure somewhat resembled that of GlassFish, but with some extra directories. E.g. 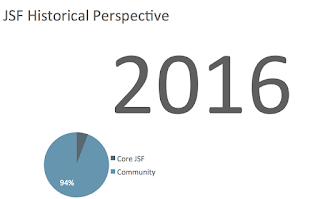 Oracle's implementation of the JSF 2.1 specification. 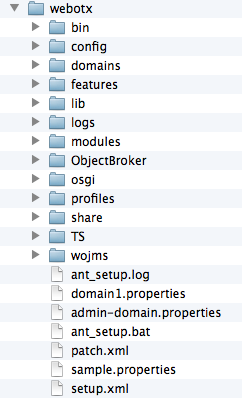 As is not rarely the case with admin consoles for Java EE servers there's a lot of ancient J2EE stuff there. 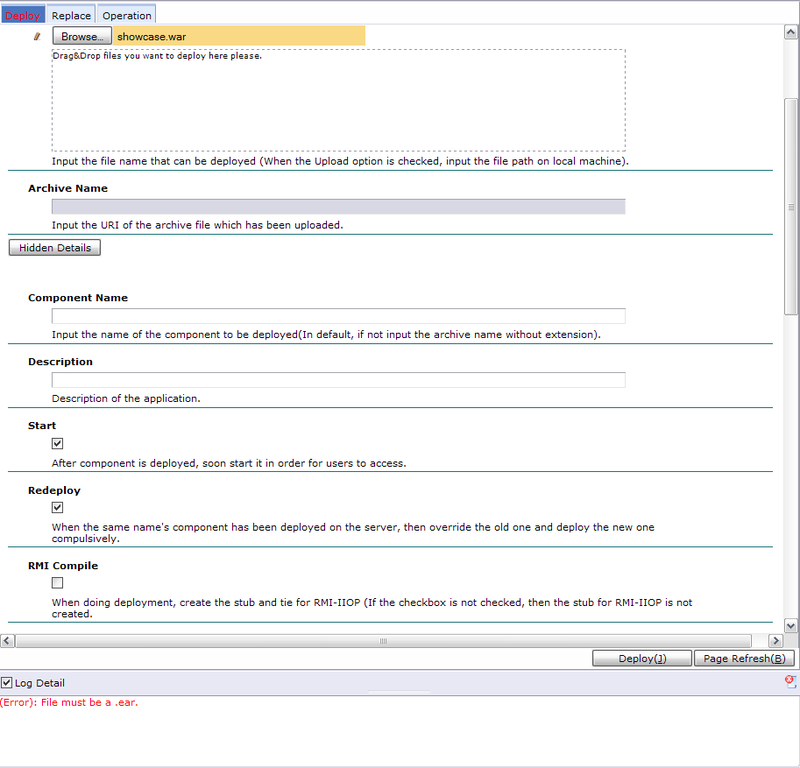 Options for generating stubs for EJB CMP beans are happily being shown to the user. In a way this is not so strange. 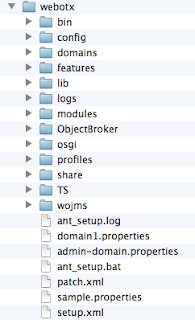 Modern Java EE doesn't mandate a whole lot of things to be configured via a console, thanks to the ongoing standardization and simplification efforts, so what's left is not rarely old J2EE stuff. At any length, all of the functionality in the showcase seemed to work, but as it was tested on GlassFish 3 before this wasn't really surprising. 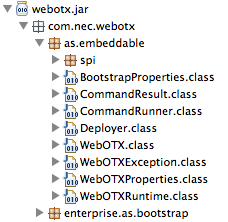 We took a short look at NEC's WebOTX and discovered it's a GlassFish derivative. This is perhaps a rather interesting thing. 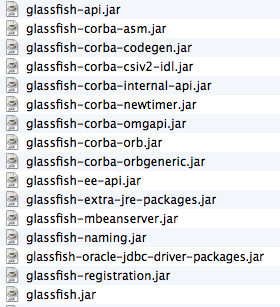 Since Oracle stopped commercial support for GlassFish a while ago, many wondered if the code base wouldn't wither at least a little when potentially fewer people would use it in production. However, if a large and well known company such as NEC offers a commercial offering based on GlassFish then this means that next to Payara there remains more interest in the GlassFish code beyond being "merely" an example for other vendors. 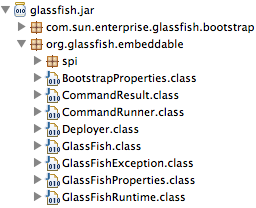 While we mainly looked at the similarities with respect to the jar files in the installed product we didn't look at what value NEC exactly added to GlassFish. From a very quick glance it seems that at least some of it is related to management and monitoring, but to be really sure a more in depth study would be needed. It remains remarkable though that while the company NEC is well known outside Japan for many products, it has its own certified Java EE server that's virtually unheard of outside of Japan. Very nice post. You are too good! We are facing a technical issue with regards to authentication. How do I share info about it to you?